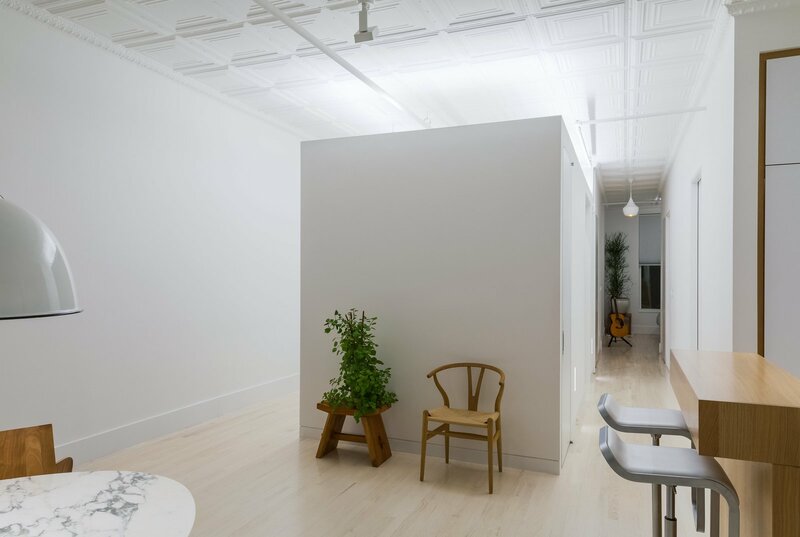 A custom whitewashed oak mirror, White paint by Benjamin Moore, and a lighting program by Melanie Freundlich carry the brightness throughout the loft. The Grid sofa is by Resource Furniture. The public spaces are separated from the private bedrooms by the new Sheetrock addition.